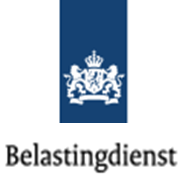 The Dutch Department for National Taxes, has chosen the software of ARCHIBUS to support their business processes. The project will integrate the entire workflow process regarding AutoCAD/BIM maintenance of all buildings with ARCHIBUS Space Management, using the bi-directional integration with Revit. Having ARCHIBUS as Space Management platform, we will also realize an interface with SAP Real Estate software.